To address the myriad of security challenges facing the state, the Edo State Governor, Godwin Obaseki, has vowed to work with relevant security agencies to reduce the incidence of crime and engender a friendly environment for investment. 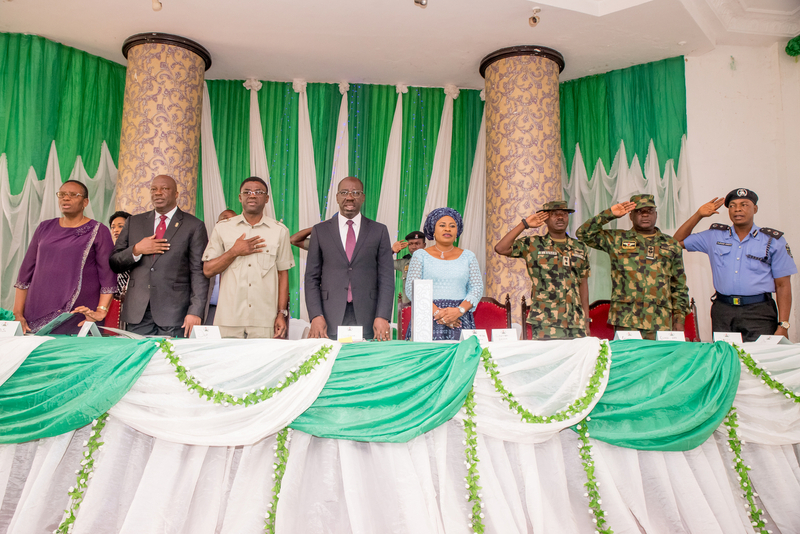 Obaseki said this in his keynote address at the quarterly Federal and State Security Administrators’ Meeting (FSSAM) holding between September 14 and 15 at the Banquet Hall, Government House, Benin City, Edo State. Obaseki also said that the proliferation of hate speeches has become a national concern that must be nipped in the bud, as it portends unsavoury implications not just for the people but also for attracting investment. He said that as the gateway state to the South-South section of the country, the state was committed to attracting investment and creating jobs, hence it would not take matters of security and law enforcement with levity. The Secretary to the Edo State government, Mr. Osarodion Ogie Esq., said the state was honoured to be hosting the event, stressing that he hoped that the participants would make recommendations that would help the government in maintaining law and order.